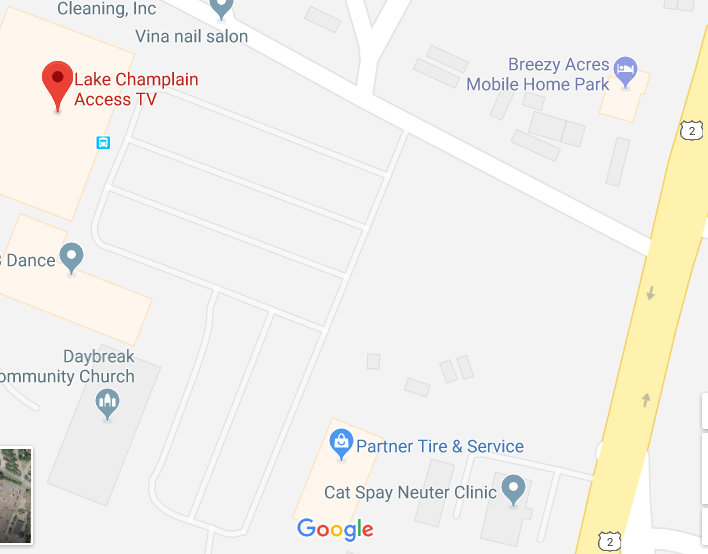 Lake Champlain Access Television serves over 9,000 Comcast Cable subscribers with television programming 24 hours a day on three channels, as well as providing video content on lcatv.org. The LCATV staff generates a wide variety of local interest programming, including gavel to gavel coverage of select and school board meetings, election coverage and community events. In addition, LCATV provides equipment, training and channel time for community members to produce their own television programming. LCATV is administrated by a volunteer Board of Directors and daily operations are overseen by the LCATV Staff. Aiding them are the community volunteers who donate their time and effort. The corporation's membership consists of anyone who lives, works or attends school in one of our eight member towns and LCATV is funded with cable television subscriber fees. LCATV was founded in the fall of 1993 by a group of interested citizens to act as the organization charged with the operation and administration of Public, Educational and Governmental (PEG) Access Television on the Lake Champlain Cable System. Originally serving just the towns of Colchester, Milton and Georgia, LCATV Channel 2 began broadcasting from a small studio in Colchester High School on February 18, 1994. In November, 1996, LCATV moved to Prim Road in Colchester and in November, 2000, Channel 2 became Channel 15 as the result of a cable system upgrade. Early 2001 saw LCATV's expansion into two separate cable channels: Channel 15 for Public Access and Channel 16 for Governmental and Educational Access. LCATV expanded its service territory with the signing of a new operating contract in 2012, adding Farifax, Westford, South Hero, Grand Isle and North Hero to the three towns it already served. In March of 2013, it moved to a new facility in the Creek Farm Plaza shopping center in Colchester and in April, 2014, LCATV added Channel 17 as a dedicated Governmental Access channel, keeping Educational Access content on Channel 16.